Kate Jonasse is living proof that if you have the drive, talent, and proper guidance to pursue your dreams, you can achieve them. Before becoming a successful technician and business owner, Kate started out as a first-year automotive service technician student at Alfred State. Though she had never even picked up a wrench before entering the program, it didn’t take long for her to get the hang of things. The hands-on experience and the encouragement she received from her instructors at the college proved to be invaluable. Inspired by Professor Mike Ronan’s stories of working on vehicles in California in the 1970s, Kate left Mercedes and followed her heart to San Francisco, where she worked as a technician for a number of years before founding her own business in 2009. 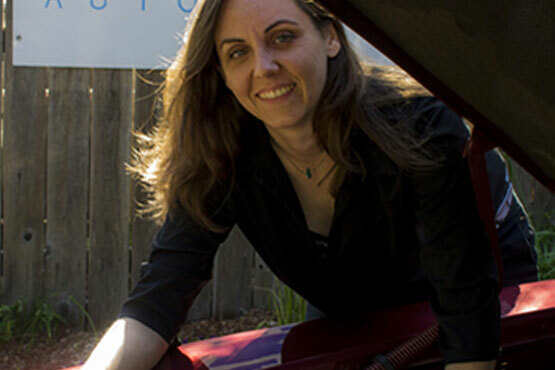 These days, Kate is the owner of two successful automotive repair shops in Sebastopol, CA: K-Tech Automotive and Pauline’s Automotive. Both full-service repair shops do “pretty much everything except body work and tires,” working on all types of passenger cars and trucks of all makes and models. Each shop is a state-certified smog repair station, and Pauline’s is also set up for some medium-to-heavy duty work. Kate said as a business owner, she loves “fixing problems and having things run better” afterward - just like when she worked on vehicles. As to other women looking to get into the automotive repair industry, Kate wants them to know that there is plenty of opportunity for a career and advancement, and earning a good salary.